Im a Raider Fan. I’ve been a Raider Fan all my life! I love the Raiders. I started watching the games when I was five days old. Now Im gonna tell you about them. My favorite player is Rich Gannon because he was the quarterback for the Raiders when I was born, up until I turned 3. I like the quarterback position. I hope to be one some day. Go, Skylar! 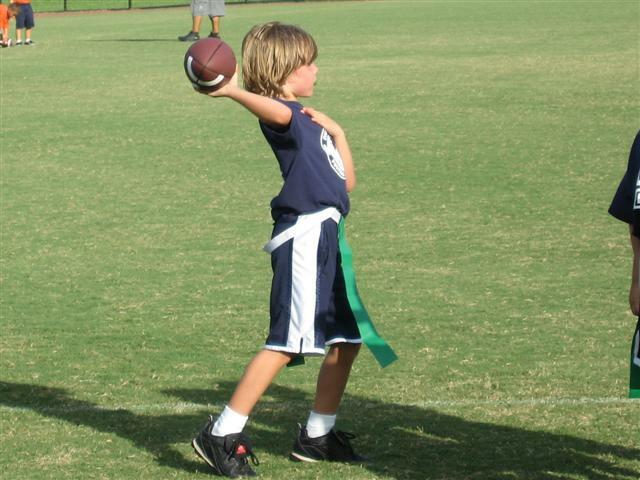 You’re the greatest 7 year old football player I know, in fact, you are the greatest football player I know.